1. Never response back to the trollers, if you get trolling, just let them do it. You can delete all their posts or leave it. Being quiet is the key. 2. Block the posters, if you are using Facebook, use Block User feature or Ignore List on the web and forums. This step is more safe because you wont read their posts anymore. 3. Prepare your mentality. Sometimes they act aggressively if they find topics which tend to make them do trolling. Don’t be more open on the net and don’t show something that make your look seen stupid. 4. Know the characteristic of the web users, if there are a lot of trollers there. Don’t spend your time to read their posts, look for alternative web that have helpful and nice users, but its not always 100% that a web is clean from the trollers. 5. Never argue with the trollers, they are experienced Internet user and their work is just looking for fun to someone until they feel satisfied. 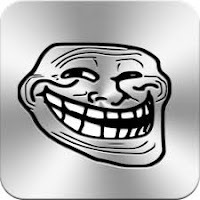 If you want to learn how to be a troller, never think that trolling is something exciting to do. If you troll someone, you'll trolled by another one.